When a tire defect occurs on a car or motorcycle, a serious or even deadly accident can occur. Recently, accidents have begun occurring as a result of new motorcycle tires suddenly deflating. Two separate cases are currently pending against Goodyear Dunlop Tires, who manufactured the allegedly defective tires that led to injury. In November of 2012, a federal court ruled on a motion in cases against Goodyear, giving the plaintiffs permission to inspect the manufacturing facility of the defendant. The court also ruled that the defendant would have the opportunity to inspect the tires and rims belonging to the plaintiffs at its plant. The plaintiffs are permitted to be present during the inspection. The recent court decisions regarding the inspection of the plant and the inspection of the tires illustrate the complications inherent in defective tire cases. Our Boston defective tire attorneys are well-versed in the technical aspects of representing clients in defective tire cases and we urge injured drivers to understand where the challenges lie in these types of legal actions. In the recent tire defect case, the judge who ruled that the Goodyear Dunlop manufacturing plant could be inspected did so because the plaintiffs needed to visit the plant in order to gather evidence that defects in the plant and its operations were the cause of the tire defect. 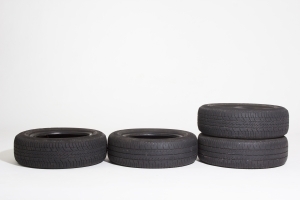 Likewise, Goodyear Dunlop needed the opportunity to inspect the tires of the plaintiff to determine if there really was a defect or problem with the tires. Answering the questions raised by either the plaintiff or the defendant will require a high level of technical expertise. After all, the average person who visited a tire plant would not be able to tell if there were defects in the plant that led to defects in the tires. Likewise, the average person couldn’t look at a tire and determine if there was a design or manufacturing defect or not. An expert who understands tire manufacturing and tire construction and design would need to be consulted to come up with answers. When cases hinge on the testimony of an expert as to whether there was a tire defect or not, the case often comes down to a battle of the experts. The defendant might put forth a witness who argues that there were no problems with the tires and that there was no tire defect that caused an accident or any type of harm for the driver. The plaintiff, on the other hand, might have a witness that argued that there was a problem with the tire that created a serious accident risk. Both sides would present these experts and it would be up to the jury to decide who to believe. Because plaintiffs and defendants usually both have expert witnesses with opposing viewpoints, the jury may make the decision on whether a plaintiff can recover compensation or not based on the jury’s opinion of the qualifications and knowledge of the experts. If you are a plaintiff in a defective tire case, therefore, you need to have the right expert witness representing and speaking up for you. If you or a loved one has been injured by defective tires in the Greater Boston area, contact the defective tire attorneys at the Law Offices of Jeffrey S. Glassman, LLC for a free consultation to discuss your claim. Call 1-877-617-5333.